Creative upcycle ideas for your garden or outdoor space, including images curated from around the world. While the thrill of the hunt can sometimes be enticing, remember that new should always balance old. 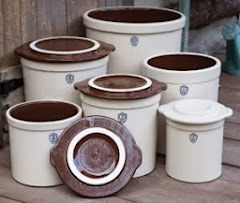 Having too many old items (or even new items) can detract from your garden's overall appeal. Let your plants be the stars of the show, and the jewelry in your garden the supporting cast. Although this is not technically an upcycle (because I used new flip-flops), you can create a wreath by finding previously loved flip-flops and then washing them in the top rack of your dishwasher. Note: For convenience, I have embedded links into the materials list that will take you to the products used in this project. Just click on the item you want to find. Apply 2 coats of clear gloss to the entire straw surface. This will help hold the straw in place and provide some protection from rain. 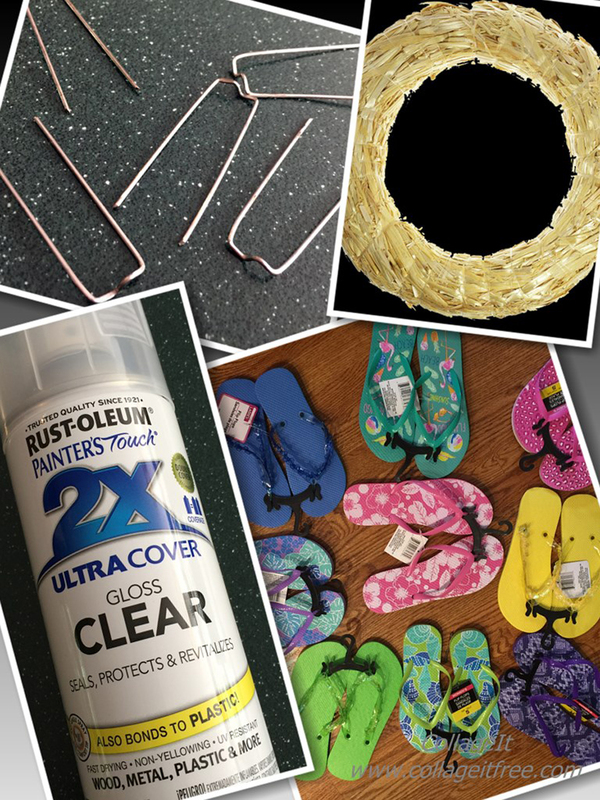 Once the clear coat is dry, arrange your flip-flops in any design you wish and then attach each with a greening pin. Recycle, upcycle and do it yourself? Absolutely! 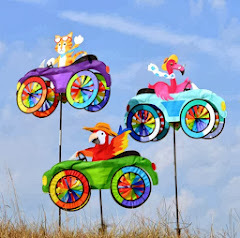 Have you upcycled something unique for your garden from recycled materials? Please share it with me so I can feature your creation here. If you enjoy this website, you might like my magazine, Gardening Life. AND, don’t miss my more traditional gardening website, Gardens Inspired. I hope you found inspiration today. Remember to subscribe, so you won't miss a thing! 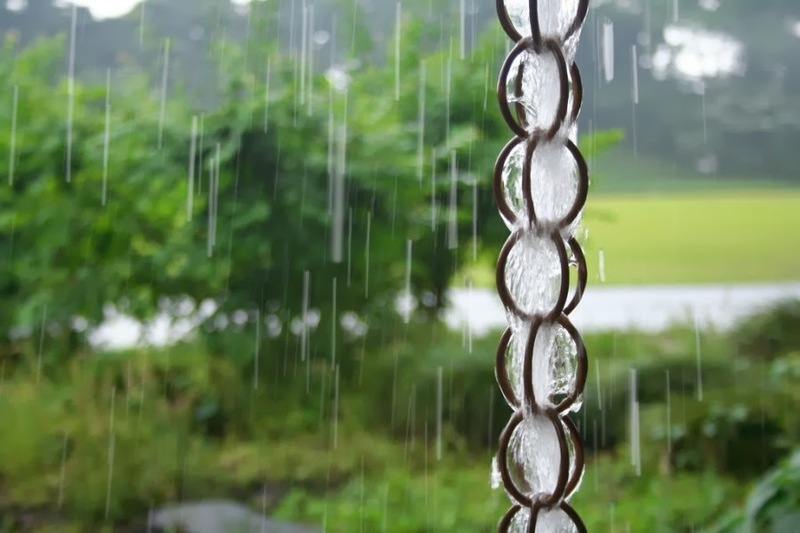 A rain chain downspout is a wonderful way to manage water run-off around the home. Rain chains are easy to make, and can be a beautiful addition to your garden. Rain chains can work in almost any environment; even in the winter. 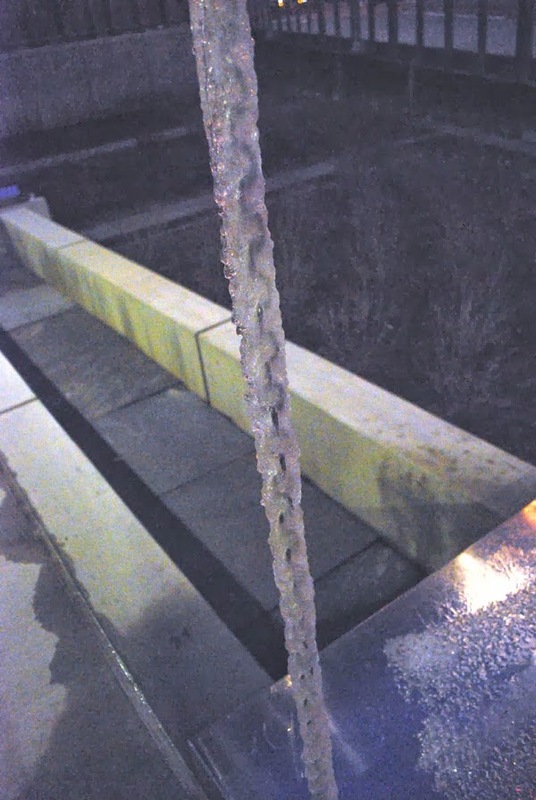 When rainwater flows down a rain chain and it turns to ice, the water will form a beautiful icicle; whereas, when traditional waterspouts freeze, they become ineffective. Embedded here is a video that will show you a finished do-it-yourself rain chain. Note: For convenience, I have embedded links into the materials list that will take you to the products used in this project. © 2011-2016 Gardens Inspired - All rights reserved. Simple theme. Powered by Blogger.